The Tamron 103A…in my opinion, another wonderful legacy lens from years gone by. The zoom range on the 103A is 80-210mm with a starting aperture of f/3.8-4. It is also a CF lens meaning it has continuous focusing into it’s macro range, has the great BBAR multi-coating, and exhibits the same great build quality of the 35-80mm SP that I wrote about HERE. I initially discovered the 103A while researching that 35-80mm (the Tamron 01A) lens. I love the 01A so much, I started looking at other highly rated Tamron Adaptall-2 lenses and one that kept coming up with well above average optics and build was the 103A. Introduced in 1981, the 103A is considered one of the best tele-zoom lenses Tamron ever made. I went to my usual places to look for one and started searching. I came across an 80-210mm lens but it wasn’t the one I was looking for…it was an older model. The older 03A lens, which is a two-ring zoom, is not nearly as great optically. 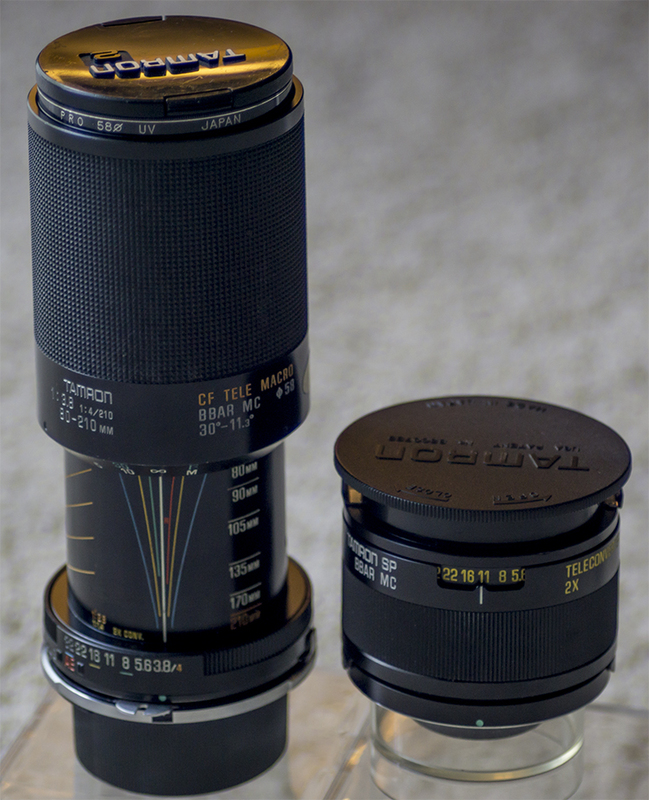 1987 was the last year for the 103A and it was replaced with the 46A which is a 70-210mm zoom and is also not as highly regarded optically as the 103A. I did a few days of looking and found a couple that looked decent, so the next step was to email the sellers and inquire about “zoom creep”. Sometimes a push/pull designed zoom lens will develop what is called zoom creep – the zoom mechanism will actually slide up or down by itself when the lens is pointed up or down. Not the end of the world if you intend on handholding the camera/lens while shooting, but for a couple of reasons it’s something I try to avoid – 1) I intend to use the lens for some macro shooting on a tripod and the lens will most definitely be pointed down a lot of the time, and 2) I just have a pet peeve about buying a zoom-creeping lens! After hearing back from the sellers I asked, I decided on one that looked to be in fantastic shape that was listed for $20 plus $12 shipping. I offered $20 total and got it at that price – it never hurts to ask! Coming from the west coast, it took a few days to get to me, but it came packaged very nicely in a zippered neoprene sleeve, complete with both caps and also a Nikon Adaptall mount. 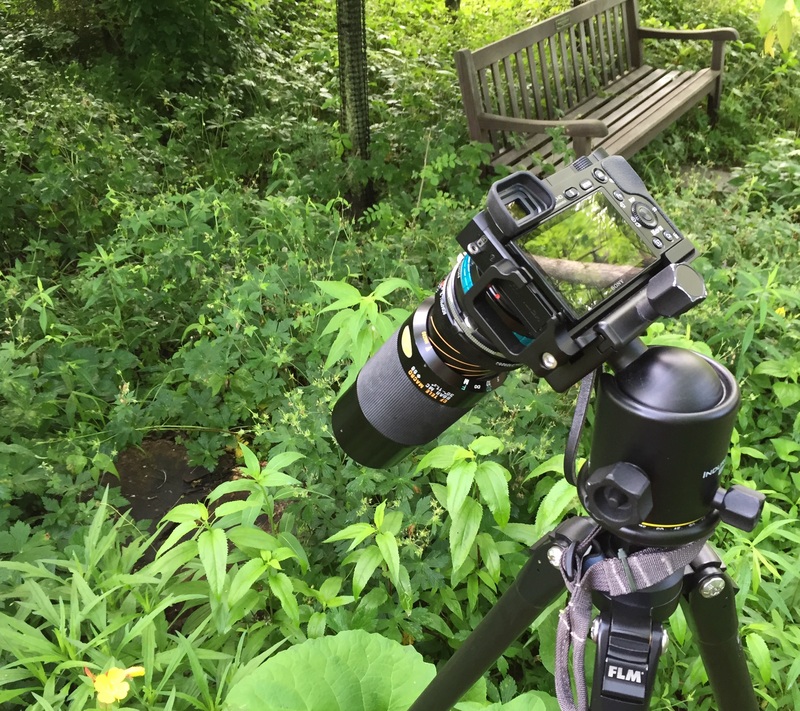 During my initial research, I found that the 103A has a minimum focusing distance of 35″ which only sounds “pretty good” until you remember that the lens adapter that allows the lens to mount to a Sony body (or one of my Fuji bodies) reduces the minimum focusing distance…while still allowing infinity focus! A quick test of the lens on my Sony A6000 revealed that the 103A showed great potential for a pseudo macro lens! I shot around home for a couple days to get familiar with the lens and see how the images looked and was pleased with what I was seeing, but I wanted to get it out “in the field” and give it a good testing. I decided late on a Thursday night to wake up early Friday morning and drive up to Cox Arboretum in Dayton to test it out. During the middle of the night, I occasionally woke up to a big rainstorm moving through, which I figured would at least give me decent light as long as it quit raining eventually! Well, it did and I got to the arboretum around 7:00 am, not realizing that the park doesn’t officially open until 8:00 am, but since there is no gate or anything I went on in since I knew I had no need to go into the main building and would just be out on the trails. There wasn’t a ton of wildflowers blooming at the time – the wild geraniums that were everywhere a couple weeks earlier were gone, and the few wildflowers that were here and there weren’t in the best of shape. I found some daisies that were in good shape, and while not a flower I’d normally go out of my way to shoot, I was there to test the 103A mainly. 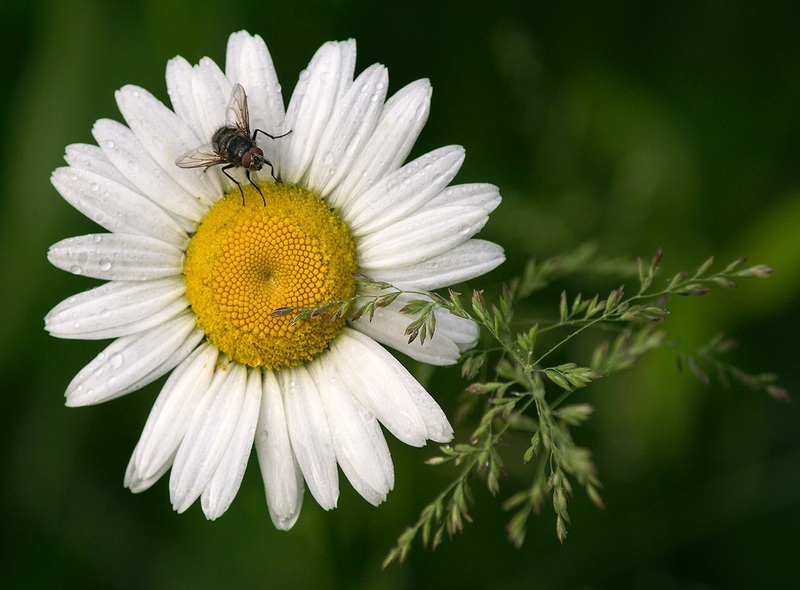 Daisy With Fly – Sony A6000 w/ Tamron 80-210mm f/3.8 103A lens. The nice wide and smooth zoom/focus collar on the 103A in combination with the focus peaking feature of the A6000 makes manual focusing the lens a breeze. My thought of the lens having great macro potential was proved correct once I got it out in the field and started shooting…I rarely had to “back up” because I was too close to a subject to be within the minimum focusing distance. I had also picked up a mint copy of Tamron’s 01F SP 2x Tele-Converter that is recommended for the 103A (as well as the 35-80mm 01A lens), so I decided to pop it onto the lens and test it out as well. This requires taking off the Adaptall mount off of the lens as the converter attaches to the lens the same way the Adaptall mount does, and you then attach the Adaptall to the rear of the converter…though in my case, the converter has it’s own Nikon Adaptall mount already on it, so I just have to remove the mount on the lens. This effectively makes a 240-630mm lens after considering the 2x converter plus the 1.5 crop factor of the A6000 body! At this point, one thing I would love is if the lens had a tripod collar! Having the camera/lens combo mounted to the tripod head from the area-swiss L-plate on the camera body means there’s an awful lot of lens hanging out there when you factor in the lens to camera adapter plus the tele-converter. It’s not a huge problem when shooting because I normally utilize a remote control to operate the shutter when using a tripod, but it does make focusing a little bit tougher because when you are touching the lens to focus, you do make the image bounce around a bit in the viewfinder. I’ve just ordered a Adaptall/NEX adapter that has a tripod mount from eBay, so I am thinking that might help a little bit. 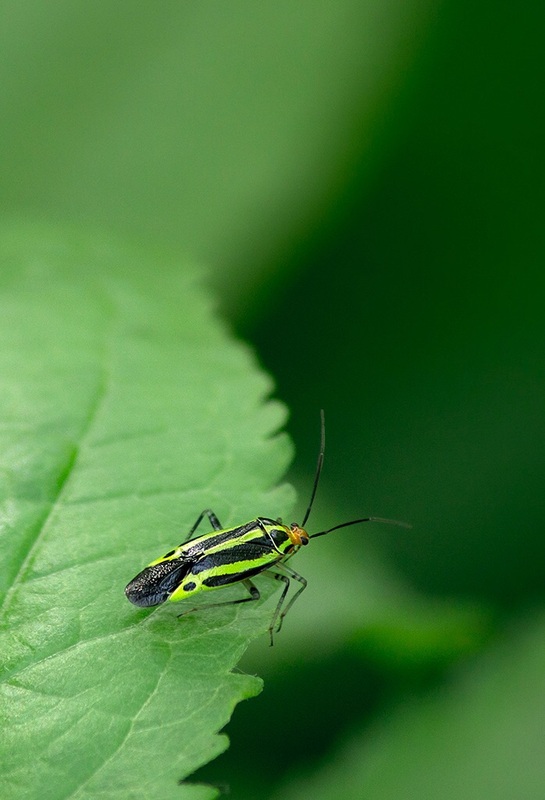 This Miridae (leaf bug) was only about 3/8″ long. Sony A6000 w/Tamron 80-210mm f/3.8 103A lens and 01F 2x Converter. Obviously, the 103A lens can double as a nice macro lens on a crop sensor body, especially when using the 01F 2x converter. After looking over the images when I got home, I knew I had a keeper in the 103A lens. It does have slightly less contrast than a modern lens will have, but truthfully I like that as I feel it gives a more film-like look to the images. I loved the way the lens felt and operated in the field. Actually, I love the lens enough that when I spotted a newly listed one boxed in new condition on eBay for $19, I bought it too. My plan is to leave the 01F tele-converter attached to one of them all the time…I’ll just switch lenses and not worry about wear and tear or the risk of damaging anything trying to attach the converter in the field. Inexpensive for a quality lens; great macro ability; solid build; being such a popular lens in it’s day makes finding good used ones fairly easy; only drops from f/3.8 to f/4 at the long end – most lenses drop to f/5.6. Slightly less contrast than a modern lens (though I personally don’t think of this as a con); heavier than a modern equivalent lens (though again, this ads to the solid feel of the lens); occasionally a little tricky getting the 2x converter attached smoothly. 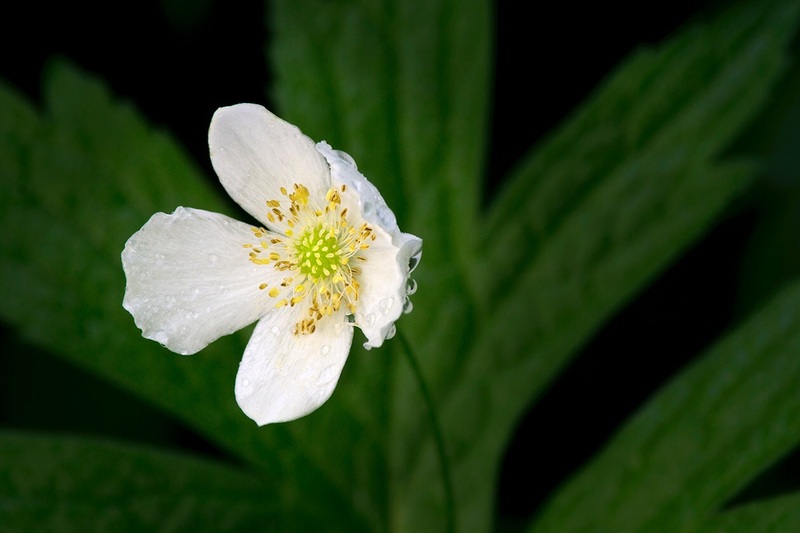 Anemone – Sony A6000 w/Tamron 80-210mm f/3.8 103A lens. A quick iPhone shot to show the 103A on the Sony A6000 body via the Fotodiox Pro Nikon/NEX adapter.